METAIRIE, La. (AP) — Dez Bryant wasn't about to declare himself a changed man just because he'd changed teams. 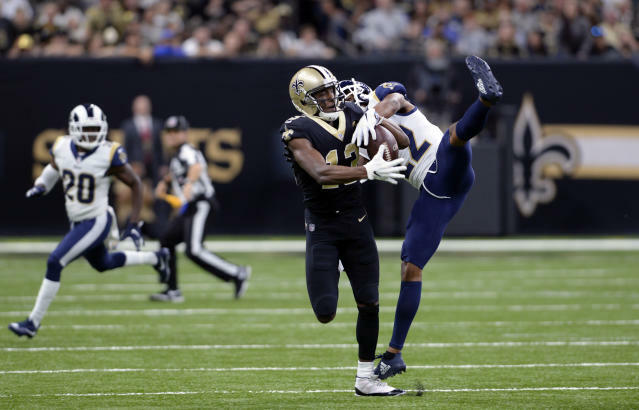 At age 30, the ninth-year NFL veteran receiver said he is comfortable with who he always has been and hopes he'll fit in with the New Orleans Saints, a team on a seven-game winning streak that looks like it's all-in to contend for a Super Bowl this season. "I'm always going to be me, you know, who I am. I'm not a bad guy. I've always been a good guy," Bryant said after his first practice with New Orleans on Thursday afternoon. "You can ask my teammates — my ex-teammates — how I am. I love the locker room. It's like family. Every locker room that I've been in — from middle school, high school, college, to the pros — it's always been like a family." Bryant was reticent when asked to go into detail about interest shown in him by other clubs. 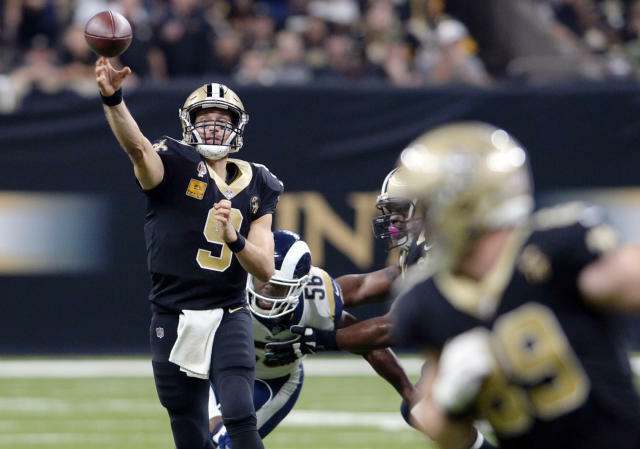 He is known to have met with Cleveland and Baltimore before his workout with New Orleans this week earned him a spot on a Saints offense that currently ranks seventh in the NFL and is led by the NFL's all-time leader in completions and yards passing. "Who wouldn't want to play with Drew Brees," said Bryant, who caught passes from Brees at practice on Thursday. "Not taking away from nobody else, but you got a guy like Drew Brees, like I said, you got a guy like Michael Thomas, (Ben) Watson, Alvin Kamara, Mark Ingram. You got those types of guys." 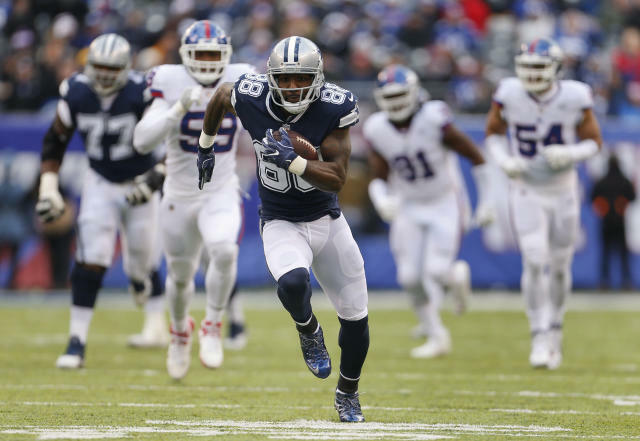 Bryant spent his first eight NFL seasons with Dallas and in 2017 caught 69 passes for 838 yards and six touchdowns, including a 50-yard scoring play, for the Cowboys. Last season was Bryant's best since he caught 88 passes for 1,320 yards and 16 TDs in 2014, which at the time was his third consecutive season with at least 1,200 yards receiving. He signed his last Cowboys contract right after that, but has not approached that level of production since — a central reason Dallas released him in April with two years left on his five-year, $70 million contract. Saints players sounded eager to see how Bryant might help. Thomas, who is New Orleans' leading receiver, said he has been following Bryant's career. "He's definitely one of those guys you have to watch if you're playing the receiver position," Thomas said. "He's a guy who's done some great things at the position, so you just have to respect it and pick his brain. I asked him a lot of questions, and it's just cool to play with a guy like that." Saints coach Sean Payton said Thursday that Bryant would be taking the spot on the active roster vacated by receiver Cameron Meredith, a free-agent signing last offseason who is coming back from a major knee injury, and who went on injured reserve after he and the club agreed he'd benefit from undergoing an arthroscopic cleanup on that same knee. "He kept having the swelling week in and week out and he really was pushing through it," Payton said. Receiver Ted Ginn Jr. also is on injured reserve and cannot come back until the final few weeks of the regular season, if he's ready by then. It's not clear how soon Bryant will have a regular role in New Orleans' offense. Payton said Bryant is perhaps five pounds heavier than his ideal playing weight, which would be common among players who did not go through a training camp. But Payton added, "we felt like he did a number of things that we liked in the workout." The signing sets the stage for Bryant to play in Dallas when the Saints visit the Cowboys for a Thursday night game on Nov. 29. "I am going to be excited. I'll get to see all the Cowboys fans. You know I still love those guys. I love my ex-teammates. They're my family," Bryant said. "But I'm here on a new chapter. It's going to be fun, but I'm the opponent now." Bryant said he is "not at all" bitter about his departure from the Cowboys, adding, "That chapter's closed. That's something I had to accept. I accepted that and moved on."